Banning classroom technologies – Jonathan D. Becker, J.D., Ph.D.
I’m coming to see student focus as a collaborative process. It’s me and them working to create a classroom where the students who want to focus have the best shot at it, in a world increasingly hostile to that goal. Yes, Clay Shirky, I hear you. 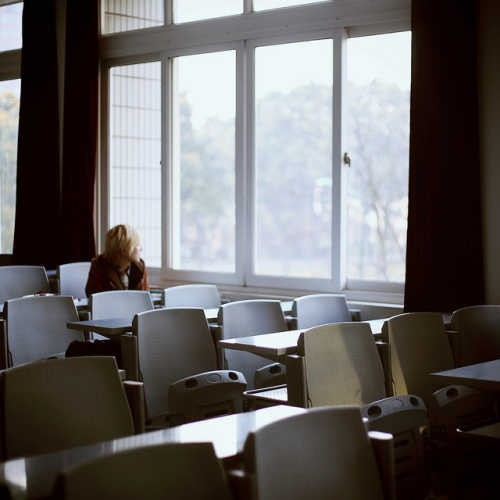 This world has become increasingly hostile to those who want to try to focus in the classroom, and technology is to blame. In fact, here are some technologies that we should ban because they are incredibly hostile to attempts to focus. How well and for how long can you focus while sitting in one of these? Let’s ban this technology from classrooms. Bring in some beanbags or something. Talk about a distraction! Whose idea was it to include this technology in classrooms?!? Didn’t he or she know that multi-tasking is bad for learning?!? Brutal, right? 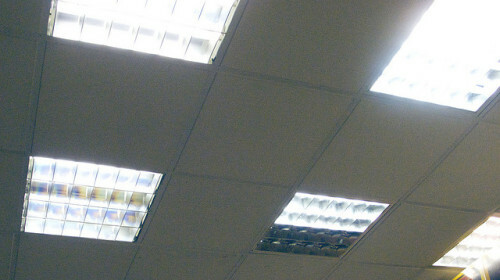 Have you seen the Wikipedia entry on fluorescent lamps and health? And that humming noise?!? TOTALLY distracting! The “lecture hall” is a technology. For the purposes of learning, when information can be delivered electronically and in ways that allow students the freedom of time and opportunities to pause, rewind, fast-forward, etc., this technology should probably be banned from colleges and universities. Image attribution to Thomas W.
Shirky is not even close to the first professor to ban laptops in classrooms. There is now an entire literary genre of blog posts, essays, articles, etc. about banning laptops. Alex Reid refers to it as the eternal September of the no laptop policy. I get it; I really do. I’m with Shirky when he writes about how digital technologies are specifically designed and engineered to capture our attention. We need to be cognizant of the effects of these new technologies on our lives. But, I don’t want to talk about blanket policies banning anything in classrooms. I want to talk about ways we can maximize the limited face-to-face time faculty members have with students that don’t involve banning laptops. 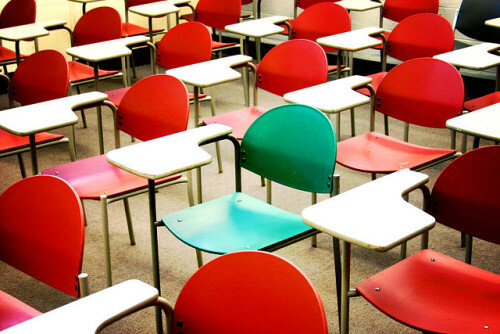 I want to talk about active learning and universal design for learning. 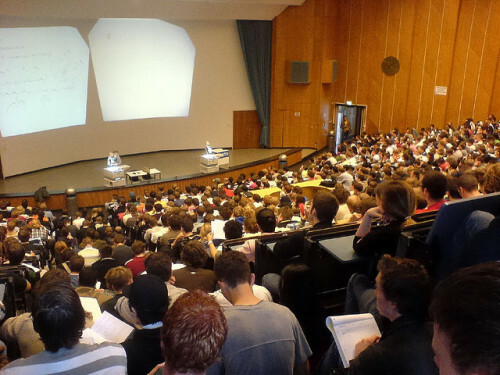 If we can’t ban large lecture halls and you have to teach a large lecture, I want folks to think about what Derek Bruff writes about creating active learning environments with classroom response systems. I want to talk about Eric Mazur’s peer-instruction techniques. During my first month as a brand-new professor, over a dozen years ago, my department chair handed me a new copy of Merrill Harmin’s book Inspiring Active Learning: A Handbook for Teachers. I still open that book and refer to it regularly. And, certainly, I’m invested in thinking about ways we can hijack the digital revolution; ways we can use powerful computing devices to augment the human intellect and not universally shut them down in the classroom.